As we head into the NCAA late signing period (April 17-May 15), there are still three Top 10 Class of 2019 recruits who are uncommitted, and six in the Top 30. Here’s a look at five compelling questions heading into the late signing period. 1-Where will Cole Anthony take his talents? The 6-foot-3 point guard from Oak Hill Academy will announce on Monday. Ranked No. 2 by ESPN.com, he’s down to North Carolina, Oregon, Georgetown and Notre Dame. With Coby White declaring for the NBA Draft, Anthony could slide into his spot at UNC. Anthony is coming off an impressive performance at the Nike Hoop Summit and also won MVP honors at the McDonald’s All-American Game. He broke down all of his option at the McDonald’s Game. 2. Will Matthew Hurt pick Duke on Friday? The 6-foot-8 Hurt is set to announce his college choice on Friday afternoon at John Marshall High School (MN) and all signs point to Duke. Hurt is officially considering Duke, Kansas, Kentucky, North Carolina and Memphis, but it appears he’s poised to join a Duke recruiting class that already includes guard Boogie Ellis, wing Wendell Moore and big man Vernon Carey Jr.
3. 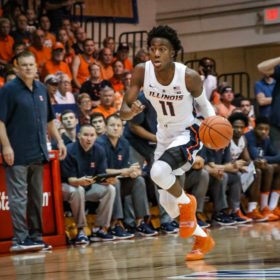 What’s going to happen with Jaden McDaniels? The 6-foot-10 forward from Federal Way (WA) is ranked No. 6 by ESPN.com and has kept his recruitment on the back burner for much of the season. Washington and San Diego State are heavily in the mix, with Kentucky also an option. If he joins Isaiah Stewart at home-state Washington, it would give coach Mike Hopkins a lethal frontcourt with a couple of future lottery picks. 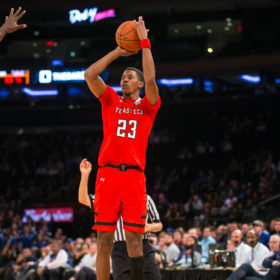 If he chooses San Diego State, he could slide into a spot vacated by his brother, Jalen McDaniels, who declared for the NBA. 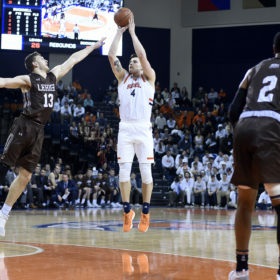 Kentucky remains in need of frontcourt help after adding grad transfer Nate Sistina. 4. Is Memphis going to add Trendon Watford? The 6-foot-8 Watford is considering Memphis, Alabama, Indiana and LSU, but Memphis is trending heavily for the Alabama native. If Penny Hardaway adds Watford to a recruiting class that includes James Wiseman and D.J. Jeffries, the Tigers could be especially fun to watch next season. 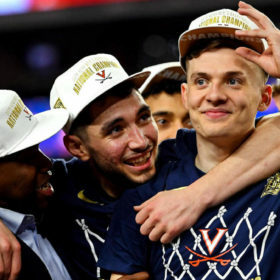 New Alabama coach Nate Oats also met with Watford upon taking the job, while Indiana coach Archie Miller met with Watford on Wednesday. Watford was set to announce at the Jordan Brand Class in Las Vegas on Saturday, but no longer will because the game isn’t televised, he said. 5. 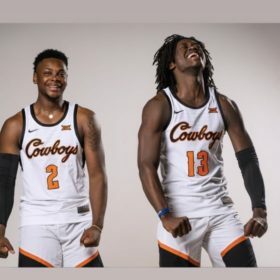 Will Precious Achiuwa be the last to commit? The 6-foot-9 Montverde (FL) Academy forward impressed at the Nike Hoop Summit, where he excelled along with Nico Mannion for the World Team in their loss to the USA. North Carolina, Kansas and Memphis are among those heavily involved for Achiuwa who said at the McDonald’s Game he may not decide until later in May. North Carolina would love to pair him with Anthony in a loaded 2019 class. Kansas is awaiting word on Achiuwa, Hurt and Cassius Stanley (who will also announce soon). And Memphis would love to add him to a class involving Wiseman, Jeffries and possibly Watford. Achiuwa will take an official to Memphis on Monday, as first reported by 247Sports.com.